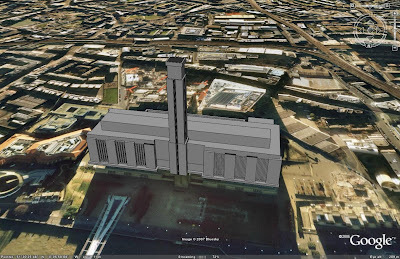 In another in a series of posts detailing how to create ‘step inside panoramas’ viewable in Google Earth we combine 3D models with panoramas to go inside the Tate Modern, London. 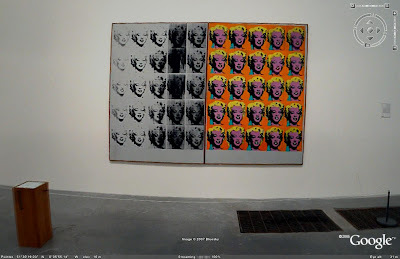 By embedding a panorama inside the building and combining a series of viewpoints you can fly around the outside of the Tate and then go inside to view the Andy Warhol exhibition. 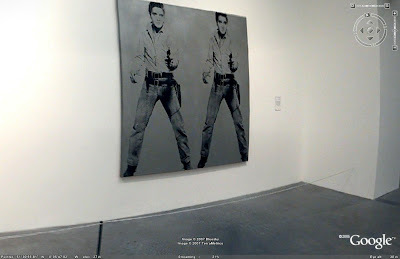 To view Elvis and Marylin Monroe by Andy Warhol in Google Earth, download our kmz file and click on the viewpoints to ‘step inside’ the Tate Modern.